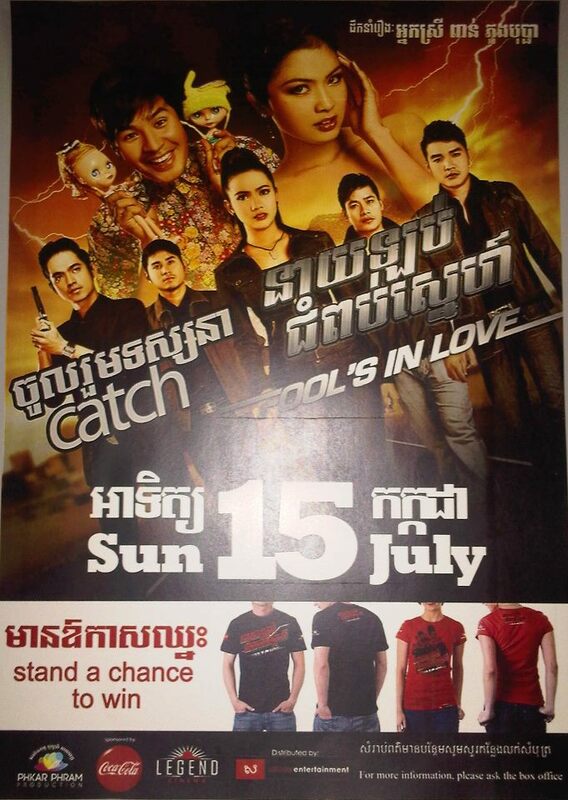 “Fool’s in love” (sic), a new movie by Poan Phoung Bopha, currently shown in the old Cine Lux with English subtitles, tries to milk the formula of her recent The 25 year old girl, but is an even worse movie. One could probably wax about how this film depicts the reality of the new Cambodia of greed and materialism, where family members become arch enemies over property and where conflicts are settled with machine guns and crooked lawyers. But the film is just so incoherent, badly acted and has some of the most bizarre hair-do in the history of Cambodian cinema… a well, it is just a mess. Dos not watch this movie. This must have been the best attended DMC Night ever, when we launched our new architecture magazine, that you can download here. Here are some pictures from the event, the facebook page with more pictures is here. 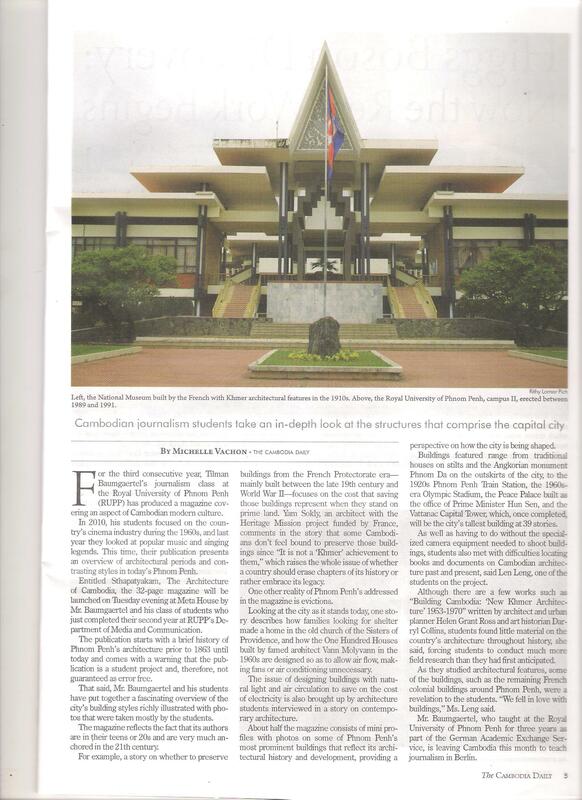 In the weekend supplement of the Cambodia Daily was a piece on “Sthapatyakam. 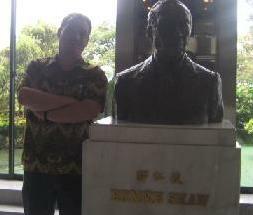 The Architecture of Cambodia”, too. Thanks to Michelle Vachon for her continuous support of our activities at DMC. PDF of the whole text here. 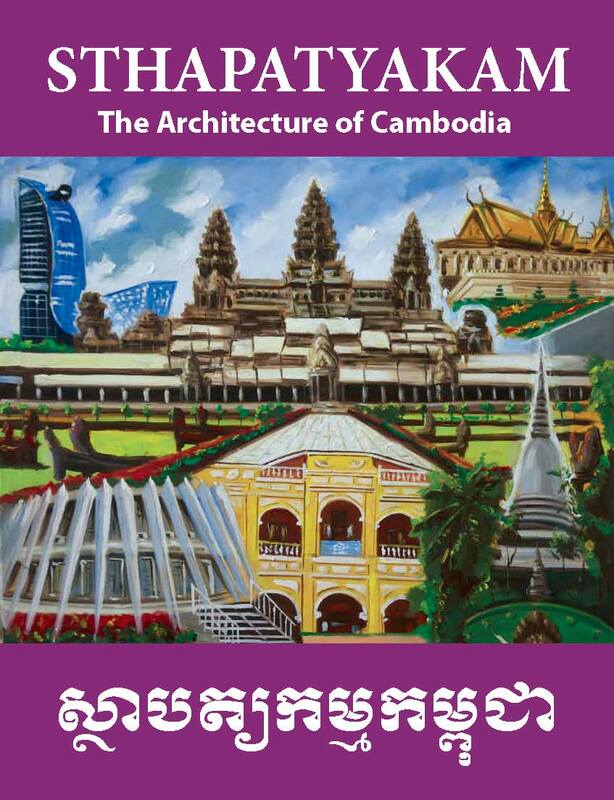 The Phnom Penh Post has an interview on our architecture magazine “Sthapatyakam. 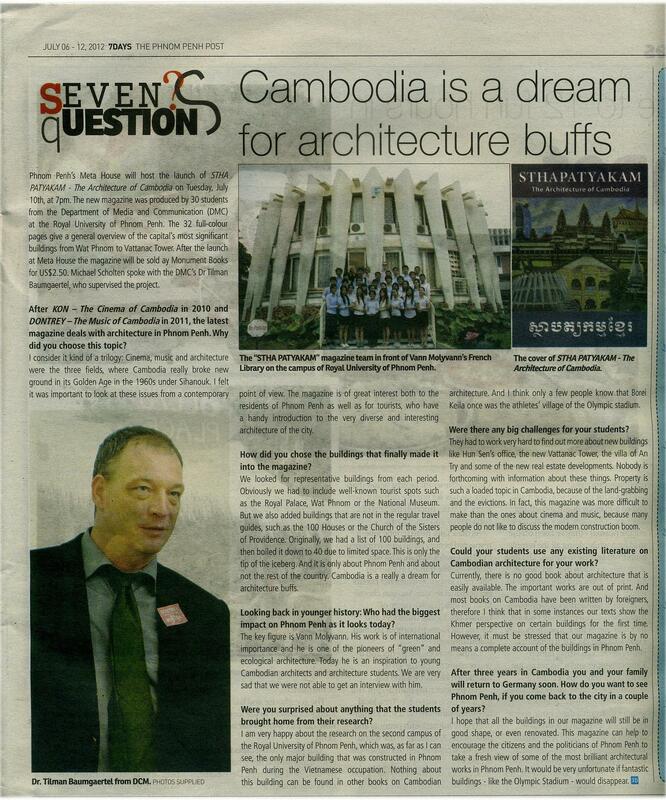 The Architecture of Cambodia” in their 7 Days Weekend supplement, thanks to writer Michael Scholten. Pdf here. Students of the Department of Media and Communication at the Royal University of Phnom Penh present their new magazine STHAPATYAKAM. THE ARCHITECTURE OF CAMBODIA, a guide to Phnom Penh’s architectural marvels. Expect a charming evening with film clips of lost great buildings, new insights into historic constructions and a fashion show. Be sure to check the Google Map for the magazine.